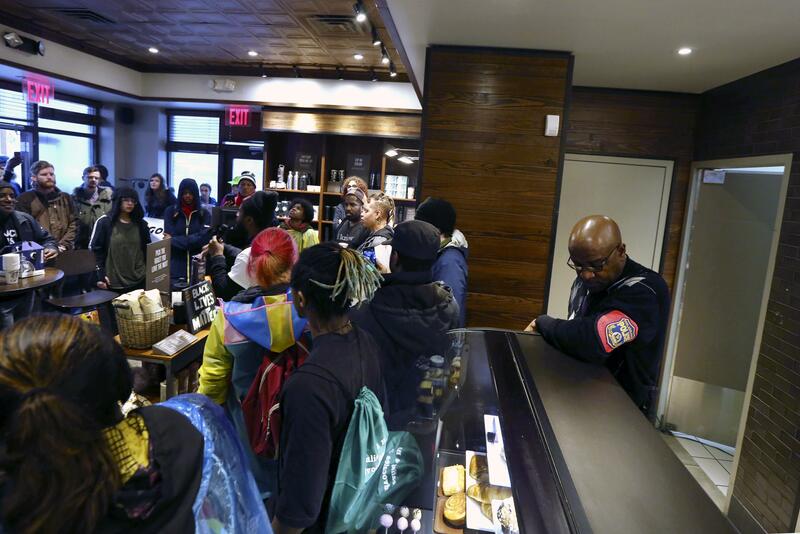 UPDATED: Mon., April 16, 2018, 9:14 p.m.
PHILADELPHIA – Starbucks wants to add training for store managers on “unconscious bias,” CEO Kevin Johnson said Monday, as activists held more protests at a Philadelphia store where two black men were arrested after employees said they were trespassing. Johnson, who has called the arrests “reprehensible,” arrived in Philadelphia over weekend after video of the incident gained traction online. He said he hopes to meet with the two men in the next couple of days and apologize face to face. Philadelphia-born comedian Kevin Hart had taken to Twitter on Monday to vent about the arrests, saying the company failed to take advantage of an opportunity to call out racial profiling. He said the employee who called police should have been fired. Published: April 16, 2018, 12:58 p.m. Updated: April 16, 2018, 9:14 p.m.